Washington is the home of the Lincoln and Jefferson Memorials, near the Potomac River, the Frederick Douglass National Historic Site, the Holocaust Museum, and the Smithsonian Institution. Enjoy the political capital of the U.S. and location of the White House and Capitol. We've helped many people with therapy, health and wellness in Washington and elsewhere in the political capital of our country. 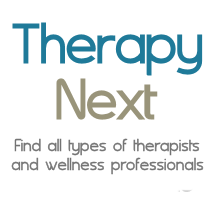 Therapists in Arlington, Alexandria, Annandale, Hyattsville, Bethesda, Bowie.